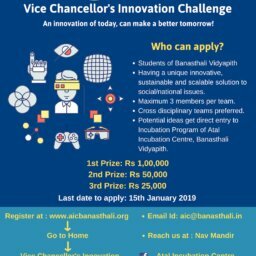 Atal Incubation Centre, Banasthali Vidyapith solicits presence of all incubates under WOMENPreneur 2018 for 2nd Learning Block. A two-day event for incubates to help them formulating effective marketing & sales strategies, understanding sales funnels, the art of negotiation, building different models of distribution. Where this event will be organised?